LOW MILES * 4 WHEEL DRIVE * FACTORY WARRANTY * EASY ON THE SPOT FINANCE * TRADES WELCOME! 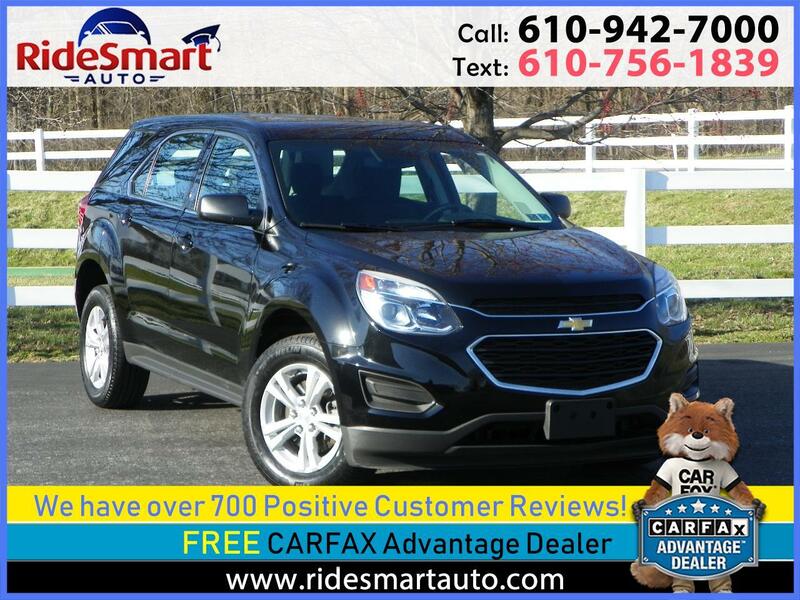 26,883 Orig Miles.. Like New 2016 Chevy Equinox LS * All Wheel Drive * New PA Safety Inspection * Lots of Transferable Factory Warranty * Easy Financing * Beautiful Condition! Options Include Power Windows, Power Locks, Power Drivers Seat, Bluetooth Connectivity, Backup Camera, Satellite Radio, WiFi Hot Spot, Climate Control, Brand New PA Safety Inspection & Balance of Full Factory Warranty! Like New Condition! A/C, AM/FM Stereo, Adjustable steering wheel, brake assist, bucket seats, child safety locks, cruise control, daytime running lights, driver adjustable lumbar, driver and passenger airbag, illuminated driver and passenger vanity mirror, Engine immobilizer, front head airbag, from reading lamps, front side airbag, heated mirrors, intermittent wipers, keyless entry, luggage rack, passenger airbag sensor, five passenger seating, power windows, power locks, power outlet, power steering, rear bench seat, rear defroster, rear headed airbag, security system, stability control, steering wheel audio controls, variable speed intermittent wipers, cloth interior, 2.4 L four-cylinder engine, ABS brakes, automatic transmission, gasoline fuel, 2 keys and owners manuals. Brand New PA Safety Inspection with Thorough Reconditioning consisting of All New Brake Pads/Rotors, New Oil Service, New Wiper Blades, Repair any significant Door Dings,Complete Interior & Exterior Detailing. Trusted Dealer with 30+Years Experience & Over 700 Positive Customer Reviews & Growing! Warranty Description: Balance of Transferable Factory Warranty.